Thanks for coming to Stowe, VT! Check out PFI's Updated LinkedIn Page - and Connect with Us! Thanks to all who joined us in beautiful (if a little chilly) Stowe, Vermont, for the 2017 PFI Annual Conference! More than 100 attendees to the conference at the Stowe Mountain Lodge interacted with sponsors and vendors, and heard from experts on many aspects of the pellet production industry. 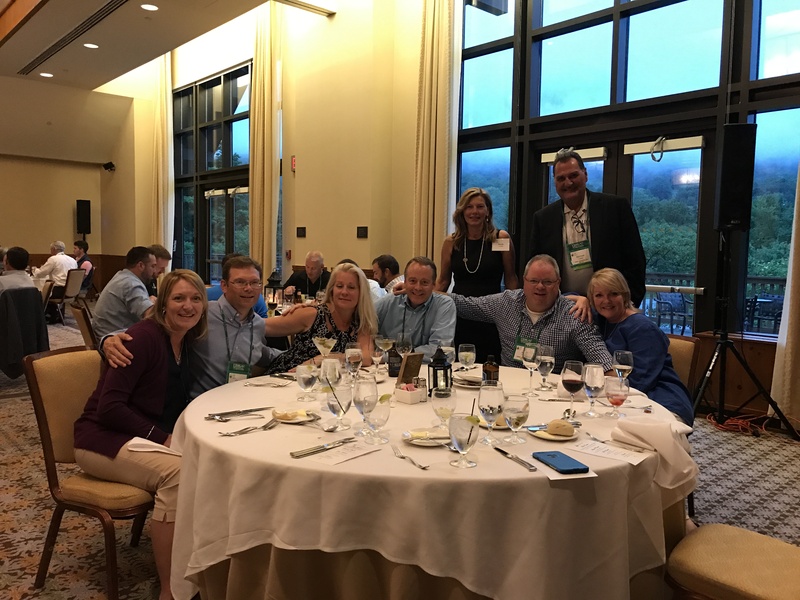 From the golf tournament to the pellet grill giveaway, attendees enjoyed camaraderie, good food and fine accommodations with a background of Vermont's Green Mountains. Congratulations to Rashid Shakir for winning the drawing for the Louisiana Pellet Grill! We look forward to the 2018 conference, June 22-28 in Myrtle Beach, South Carolina! We thank all of our sponsors for making this event possible. Platinum Sponsor Uzelac Industries and Gold Sponsor Timber Products Inspection at the PFI Annual Conference Monday night dinner event. PDI drying and energy systems are designed to meet the diverse needs of today's manufacturers. The result is innovative equipment that provides cost-effective and environmentally compliant performance, responsive to even the most stringent guidelines. Our customized solutions use advanced technology to ensure a consistent, quality finished product, giving our customers a competitive edge. The PDI line of drying equipment features our newest generation of flights compatible with wood shavings, wood pellet materials and many other products. This technology allows manufacturers to dry a variety of raw materials and maintain control of outlet moisture. Dryers are available in sizes ranging from 1-25 tons per hour in a single drum. PDI's economical line of wet bark burners continues to be utilized by manufacturers looking to improve profits and use waste wood as fuel. A PDI burner is a custom design, using precise calculations of retention time to prevent carryover of ash, sparks or other materials. Engineered combustion chambers and individualized burner management programming results in minimal emissions, regardless of the quality of incoming fuel sources. Daily start-ups and shut-downs can be managed without unreasonable production delays. Capacities range from 1-60 MM BTU/hr in a single unit. Follow PFI on Facebook and Connect with us on LinkedIn! This week, PFI updated its LinkedIn page. 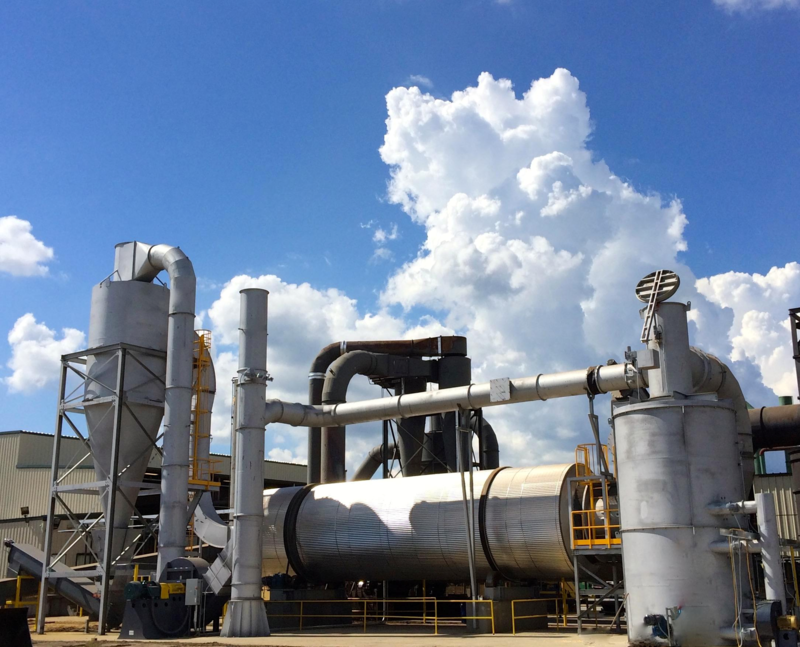 We'd like to connect and interact with PFI members and anyone else involved in pellet fuels production! Wednesday, October 18, marks the day for the Fifth Annual Bioenergy Day. Consider inviting an elected official to tour your facility on Bioenergy Day. Whether it's your town's mayor, a state official, a member of Congress, Senator or Governor, Bioenergy Day is the perfect opportunity to introduce government officials to the pellet industry and its many environmental and economic benefits. bioenergy. This year, we are highlighting the economic benefits of bioenergy. The presence of bioenergy in a community creates jobs, enhances revenue and forest products markets, and reduces waste. Our video on bioenergy, forest products and forestry in Northwestern Montana will illustrate how manufacturers convert leftover fuels into energy. There are many ways to contribute to Bioenergy Day 2017. We've uploaded our Participation Guide on the site to help you brainstorm the ways to mark Bioenergy Day, with some best practices and sample materials. You can also look around our website, www.bioenergyday.org, to see how other groups have approached Bioenergy Day. Contact Carrie Annand with any questions on Bioenergy Day 2017 or to register your organization's event. Appalachian Wood Pellets, Inc. in Kingwood recently celebrated six years with no lost-time accidents. A celebration was held to congratulate employees. All received a catered breakfast, a tumbler cup, new T-shirts and a monetary award. "What this group has done is amazing," said Don Wagner, general manager. "Each day they strive to work safely and it shows throughout our facility." At the 2017 Pellet Fuels Institute annual conference on July 24 in Stowe, Vermont, on behalf of the PFI Standards Program, I provided an update to convey general logistical program information, as well as to notify everyone of some upcoming changes. For those not able to attend, I will provide a summary in this column. For the past several months, PFI has been in discussion with the Northeastern States for Coordinated Air Use Management and other northeastern state regulatory representatives, as it pertains to the use of wood pellets within the region. It was brought to our attention that various Northeast states are planning to develop state-level requirements for the use of wood pellets. We were informed that while they felt most aligned with the PFI Standards Program for use in assuring quality requirements, there were some components that needed to be addressed before the program could be referenced for this purpose. The manager of the new Highland Pellets plant spoke Tuesday about the global wood pellet market, the capabilities of the new plant and a revised estimate of its economic impact. The plant manager, Jody Doak, told the Pine Bluff Rotary Club that the company plans to hire seven more full-time employees than originally planned, which would bring the number from 68 to 75. He cited a 2017 study by the Arkansas Economic Development Commission that projected the plant would contribute 1,000 indirect jobs, such as hauling product, in Jefferson County and surrounding counties. A 2016 study by consulting firm Novogradac & Company LLP had estimated the plant would yield 900 indirect jobs. As the debate about the carbon benefits of generating electricity in Europe from wood pellets manufactured in the southern United States continues, a new Forest2Market report shows that growth in demand for forest products (e.g., lumber, paper, packaging and wood pellets) has led to greater forest productivity and a significant increase in the amount of forest inventory available for storing carbon. The report, Historical Perspective on the Relationship between Demand and Forest Productivity in the US South, analyzes US Forest Service data and other scientific research to understand the relationship between changes in demand and supply from 1953 to 2015.